...so I had to find something beautiful enough for the first blog entry! This mindbender was produced in 1895 by the great Russian composer Alexei Troitsky. The first thing I might look at is 1.gxh7, but then Black can simply play 1...Kg7 and eat White's last pawn for lunch on the next move. 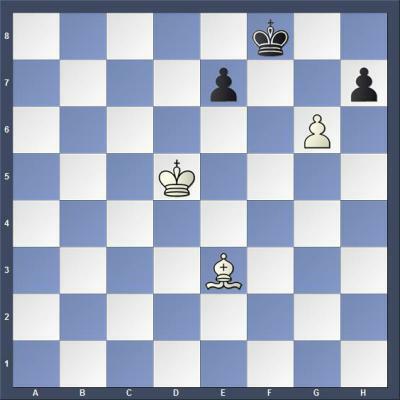 Here's a hint: What is the best way for White to win the position below? Does it involve blackmail or gunplay? White to play: can White win? If you give up, you'll find the answer on the Russian-language Wikipedia entry for Troitsky. But please don't give up too easily!